You're not the only one interested in breast cancer prevention; the government also has a vested interest in keeping your breasts free of cancer. 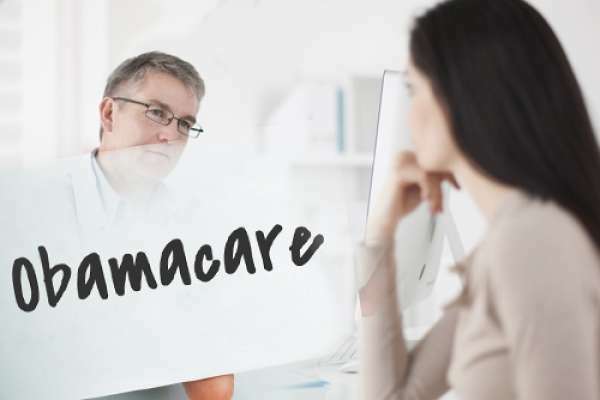 Women covered under the Affordable Care Act, more popularly known as Obamacare, will receive preventative drugs that are intended to prevent breast cancer. The best part? These drugs will be fully covered under your health care plan. Women with an increased risk of breast cancer can receive these “chemoprevention" drugs—tamoxifen and raloxifene—without a co-pay or out-of-pocket expenses. These drugs have been approved by the Food and Drug Administration and have been recommended for coverage by the U.S. Preventative Services Task Force, a panel of volunteer physicians and academics. Coverage doesn't stop there either. Obamacare will also cover additional preventative breast cancer treatments to reduce your overall risk. You may also like: Breast Cancer And Pregnancy: Is It Possible? But what exactly are tamoxifen and raloxifene, and how do they prevent breast cancer? According to the Preventative Services Task Force's Recommendation Statement, these drugs are selective estrogen receptor modulators (SERMs). SERMs block the effects of estrogen in the breast tissue, which, in turn, reduces the risk of estrogen receptor-positive breast cancer. Generally speaking, both tamoxifen and raloxifene have the same effects: they block estrogen in the breast tissue, but promote estrogen (or act as a replacement for it) in bones. They differ, however, in a few key ways. For instance, tamoxifen also promotes estrogen in the uterus, which could cause cancer in the uterus. Another side effect of tamoxifen is serious blood clots, including stroke. Despite this fact, tamoxifen has been shown to lower the relative risk of breast cancer by up to 50 percent. Raloxifene, on the other hand, has less dangerous side effects, but has only been approved for post-menopausal women. Similar to tamoxifen, raloxifene can reduce the relative risk of breast cancer by up to 40 percent. However, it does not act like estrogen in the uterus, and therefore, it is less likely to cause cancer of the uterus. It may also have a reduced risk of blood clots compare to tamoxifen. In addition to these cancer prevention drugs, the Affordable Care Act is also covering several other breast cancer preventative treatments. For women at risk of breast cancer, genetic and chemoprevention counseling for women at a higher risk of breast cancer is also available for coverage. Genetic counseling involves education on preventative behaviors and family planning for women with breast cancer or with a high risk of breast cancer. Chemoprevention counseling helps women create a plan of action to prevent breast cancer. Women over 40 have another added benefit with Obamacare. Mammograms every one or two years are fully covered by Obamacare for women over 40, allowing for faster and easier detection of breast cancer. With this plan, women can get more preventative treatments for breast cancer, and, therefore, have less relative risk. Families with a history of breast cancer can also plan and get the help that they need to prevent the worst from happening.